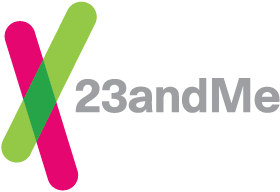 If you have one or both of your biological parents genotyped with 23andMe and you are sharing genomes, the DNA Relatives feature can determine whether a match shares DNA in common with both you and one of your parents. If one of your matches shares DNA with both you and one of your parents, that match is likely to be on either your mother’s side or your father’s side. This can help narrow your search if you are looking for a common ancestor with one of your matches. This feature labels matches who share DNA in common with both you and your parent. If your relative also shares DNA with your mother, he or she is most likely on your mother’s side of the family. Conversely, if a relative shares DNA with your father, he or she is probably on your father’s side. This is the case for both male and female relatives, since DNA Relatives is based on your autosomal DNA (chromosomes 1–22) and X chromosome. When you are sharing genomes with or on the same account as one or both of your parents, DNA Relatives will check to see what matches you share in common with each parent. You will see this indicated below the predicted relationship for each match in your DNA Relatives list. Relatives labeled as “Father’s side” match both you and your father. Relatives labeled as “Mother’s side” match both you and your mother. Full siblings show DNA shared with both parents. If you only have one parent in the system, you will be able to see relatives labeled as matching that parent or not matching that parent. In most cases, a relative who shares DNA with you but not your father, is likely related to you through your mother, so you can find relatives from both sides even if only one parent has been genotyped. Occasionally, DNA Relatives indicates that one of your genetic relatives shares DNA with both your mother and your father. For instance, a sibling should be related to both your parents. This can also happen if the relative happens to be related to both of your parents. You may also find genetic relatives that do not share DNA with either of your parents. Since all your DNA comes from either your mother or father, a genetic match must share DNA with one of your parents. In these cases, the amount of DNA shared likely falls just short of the DNA Relatives detection threshold. What can I do once I make a connection with a relative through DNA Relatives?